We love our essential oils, but what's the best way to store them? In this guide, I'll discuss 10 great tips for storing essential oils. I'll also discuss the 7 best options for essential oil storage. 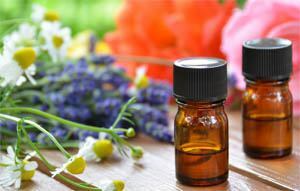 If you’re a fan of all things natural, then you most likely have a good collection of essential oils. These oils are amazing and extremely versatile! So let's get started. If you’re just stepping into the world of these oils, let me explain what they are. 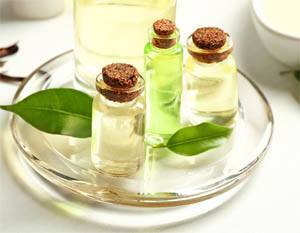 Essential oils are highly concentrated oils derived from various plants. You can use them for many different things and they are extremely beneficial to your health. Some of the most common uses of essential oils include aromatherapy, diaper rash treatment, preventing stretch marks (click to see our guide! ), beauty routines, and even cleaning. The use of essential oils has been around for centuries. Therefore, it’s no wonder that they continue to grow in popularity. If you’ve fallen in love with essential oils, then it’s important to know how to properly store them. Essential oils can be a bit pricey, so obviously you want them to last as long as possible. It also doesn’t hurt to have a good storage system to keep them easily accessible and protected. First, let discuss storage basics. Then we'll talk about the amazing storage options. Storing essential oils properly is critical to protecting your collection so that your oils last. 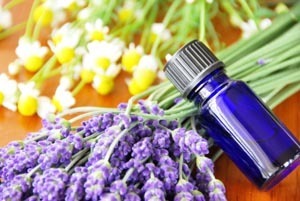 Here are some great tips on how to store essential oils. 1. Always keep oils in a glass bottle. Glass bottles are more secure, as some oils may be so concentrated that they can corrode plastic! These 1oz Bottles by Yesker are a great option to consider. You can get some great bottles fairly inexpensively and they last a long time. Good bottles are a must to protect your essential oils! The dark color of the bottle will protect the oils from light, which can speed up the expiration and change its composition. 2. Use amber or cobalt-colored containers. 3. Keep oils in a cool, dry place. This helps your oils last much longer. 4. Make sure to keep lids tightly closed. You want to keep the lids closed tightly to prevent your oils from evaporating. 5. You can store oils in the fridge to help prevent oxidation. Simply take the oil out 12 hours before you intend to use it. 6. Keep oils away from extreme heat or flame. Heat can damage your oils. Some oils are also combustible. 7. Never transfer undiluted oils into plastic bottles. Some essential oils can eat through plastic! 8. Don't let big containers get half empty. If your oil is in a larger container, then once the container is half empty, pour the oil into a smaller one. This reduces the amount of air on top of the oil and helps prolong its life. 9. Create your own labels. Place your own labels on each cap to make sure you find the right oil fast without having to read the manufacturer label. 10. Keep your essential oils secured. Try to keep your oils locked away or out of reach from little ones. You don’t want your children getting a hold of them. How long does essential oil last? Do oils go bad? 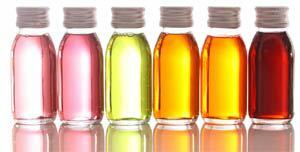 Essential oils can have a shelf life of anywhere between 1-6 years. 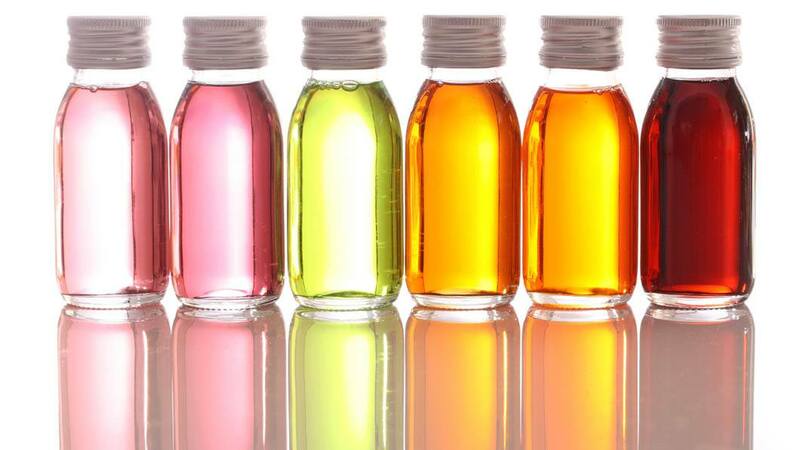 The shelf life of essential oils is going to differ depending on the type of oil and its composition. However, essential oils don’t truly expire when taken care of properly. Instead, they actually change composition. Over time, the oil that you purchased may begin an oxidation process due to exposure to light and heat. When this happens, the makeup of the oil can change, and you may end up with an entirely different oil than what you originally purchased. By following the above tips, you can help prolong the shelf life of the oil you originally wanted. If you’re curious as to the shelf life of your collection, take a look at this extremely helpful list that breaks it down by the specific oil. Once you’ve fallen in love with essential oils, you’re going to want to organize, store, and even take them with you. Below are some great essential oil containers and essential oils organizers. You can find some great bags in many places online. One great option is the Aroma Travel Bag, which holds up to 10 bottles. It's perfect for your purse or for travelling light! There's also several essential oil carry bags available on Etsy. These storage bags closely resemble cosmetic bags, so they’re lightweight and easy to store. You can also find essential oil carrying bags in adorable patterns and prints! For example, the Aroma Travel Bag comes in lots of super cute options! You’ll be able to store your oils in style and keep them close at hand when you’re away from home. The bags are typically smaller than an essential oils case, which we'll discuss next. Typically, an essential oils bag will be your first storage method until your collection grows. Essential oil carrying cases are just as awesome as the bags, but a tad bit different. They have the potential to hold more oils if needed, are either soft or hard on the exterior, and have designated slots for each oil container. Your oils are sure to be safe and secure in one of these cases! A great option to consider is the Hytek Carrying Case, which holds up to 30 bottles. Essential oils carrying cases are a great option once you start having more than a few essential oils but aren't ready yet for larger storage options in your home. Essential oil storage cases are also fairly inexpensive. They make a great essential oil holder. You can take them with you wherever you want with the confidence that your precious oils are safe. They are the best option as an essential oil travel case. You can find some great options for an essential oils storage case online. Another great option for storing your essential oils is a storage box. Typically, wooden essential oil boxes have small slots to hold and protect all of of your essential oils. The best part is that you can truly make any essential oil storage box unique. You can paint it, engrave it, or keep it as is for a rustic look. In addition, an essential oils box is a great way to keep your oils organized. Check out the Aroma Outfitters Essential Oil Wooden Box, which holds up to 68 bottles. It's a great option! Keep in mind, that an essential oil wood box is the typical next step when your collection is outgrowing your bag and carrying case. I have multiple essential oil boxes for my collection. It has really helped me keep my oils organized. Essential oil display racks are awesome! They keep your oil display looking clean, organized, and stylish. An essential oil wall rack can really show off your amazing collection. You can use essential oil storage racks in any room of the house, so long as it is the right temperature. If you’re looking for a bit of inspiration, this rack display is sleek and holds several oil bottles. If you’re on a budget, you can create your own stylish diy oil rack using a spice rack! Simply paint it whatever color you’d like, and you’re ready to store your oils beautifully. Nail polish racks also work well and make great essential oil display racks. Check out this Nail Polish Rack by Sorbus as an option if you want store your oils on a wall. It's a beautiful way to showcase and store your oils on a wall! If you prefer to keep your essential oils safely tucked away, then consider storing them in a drawer. You can purchase any drawer organizers, and create an awesome organized system. Keep your empty bottles, lids, droppers, and oils all in one drawer. Costco sells some drawer organizers that are perfect for this concept. If you find yourself with more oils than a drawer can handle, you might want to consider a essential oils storage cabinet. Yes, a cabinet. There are some amazing cabinets designated to hold all of your essential oils. What’s great about having an essential oil cabinet is that it's able to hold large bottles of oils, rather than just the standard tiny bottles. An added benefit is that you can lock the cabinet to keep little hands from getting to the oils. Remember, they’re highly concentrated! An essential oil storage cabinet is also a great option to show off your collection. It's one of the best essential oils bottle holders. If you're looking for essential oil display cases, a cabinet is one of the best options. Just because you have organized your oils, doesn’t mean your display has to be bland. There are several neat ways you can display your essential oils proudly for all to see. For example, these unique displays are sure to catch the eyes of your guests. Another great option to consider is an essential oils shelf. You can even make one yourself! If you haven’t tried using essential oils, you should definitely consider it. Don’t be surprised if you find yourself falling in love with all the benefits they have to offer. Your collection will only continue to expand, and you now have some amazing ideas on how to store all of them. By keeping your oils organized and following proper storage guidelines, you’ll have the opportunity to appreciate their use for quite some time.